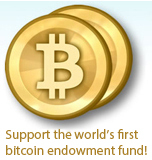 Update — Give us your suggestions on how to spend our Bitcoin Endowment Fund! Update — We have launched a New Money Systems Board! The Lifeboat Foundation is interested in funding cryptography-related projects since a 1984-like world would not only be unpleasant but could give the government the power to do terrible things that could even become existential threats. While the Lifeboat Foundation was founded in the 21st century, until recently it was mainly funded using 20th century money, basically various types of monies backed by governments. Thanks to the encouragement of some of our larger donors we are now working to have the majority of our funding come from 21st century money — money backed not by governments but by algorithms. The 21st century money Lifeboat is currently focused on is bitcoins. Historically government backed money has done a poor job in holding its value. For example, the successful U.S. dollar has lost over 97% of its value since it was first issued. A less successful currency, the Japanese yen, has lost 99.95% of its value since being issued. Many promote the idea of trading rocks (gold and silver) instead but this Bronze Age idea has various drawbacks including portability when local governments decide to confiscate it. As a futuristic organization, we should be promoting 21st century money and now we are! Crypto-currencies have many advantages over old-fashioned government-backed money. For example they enable transparency, enabling Lifeboat to show that our endowment monies are stored in these wallets: They also allow people in less developed countries to have access to the rest of the world. For example, PayPal alone blocks access to over 60 countries, and many credit card companies have similar restrictions. Some are blocked for political reasons, some because of higher fraud rates, and some for other financial reasons. Whatever the reason, we don’t think a human being from Haiti, Ethiopia, or Kenya should have diminished access to the world because of payment issues they can’t control. Our goal is to enable people, not block them. The March 2013 EU–IMF grab of about 50% of large bank accounts in Cyprus that held government-backed money was the key event that caused the Lifeboat Foundation to feel that the time for 21st century money was here. (We launched our endowment fund shortly after the Cyprus crisis began.) Such confiscations continue with the confiscation of all bonds held by Polish private pensions. 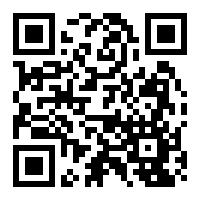 Any bitcoins donated anywhere on the Lifeboat site will be added to our bitcoin endowment fund. Any non-bitcoin donations made on this page will be used to buy bitcoin-related hardware such as bitcoin address generating equipment or will be used to buy bitcoins. Learn what we have spent non-bitcoin donations on so far! Learn about the Bitcoin Foundation. Read Bitcoin Magazine. Learn about the potential of bitcoins. We would like to start a trend of nonprofits building endowment funds with bitcoins instead of just spending them all. Nonprofits could be using the deflationary power of bitcoins to build up their resources so they are in a better position to make a difference in the world. Help us launch this trend! To give back to the bitcoin community we have created the first Windows version of oclvanitygen in the world that runs well on high-end AMD cards. 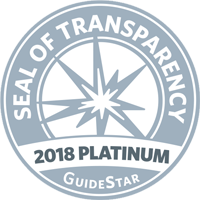 (Our version runs nearly four times as fast as the old version!) We also added support for compressed keys as well. You can download the program for free and can learn more about what we did on GitHub. This is a program for generating vanity bitcoin addresses such as our address that begins with 1Lifeboat. PGP signature for program is here. In addition to all these donation methods, the Lifeboat Foundation is interested in the donation of desktops with PCI-E slots and of laptops without PCI-E slots as well. Let us know if you have such hardware to donate! We now have 0.0014128 bitcoin cashes valued at $416.927714536 each stored in these wallets: 496.24499383 bitcoins (including pledges) valued at $5,523.4413 (bitcoin price provided by CoinDesk) each stored in these wallets: 2.144172 CryptogenicBullion valued at $1.27331 each stored in this wallet: 1; 190.14792476999979 etherium valued at $176.37269549 each stored in this wallet: 1, 13.15159265 litecoins valued at $42.6908630152 each stored in this wallet: 1; 100.1 moneros valued at $87.7310893569 each; 265,999.80 noblecoins valued at $0.000182885 each stored in these wallets: 1 and 2; 30.825038 peercoins valued at $2.16766522958 each stored in this wallet: 1; 1,150 solarcoins valued at $0.180599 each stored in this wallet: 1, and 721.03142548 Zcash valued at $107.935416283 each stored in these wallets: 1, 2, 3, and 4. The Lifeboat Foundation is recruiting bitcoin talent from around the planet. Our many bitcoin-related board members include Jeff Bone, Vitalik Buterin, Brenton Camac, Philippe Camacho, Brian Cartmell, Stephen DeMeulenaere, Matthew Elias, Chris Haley, Zach Harvey, Kris Henriksen, Dan Ilett, Nejc Kodri&ccirc;, Aaron Lasher, Bobby Lee, Charlie Lee, Adam B. Levine, Juan Llanos, Colbert Low, Jon Matonis, Trace Mayer, Lasse Birk Olesen, Michael Parsons, Elizabeth Ploshay, Alan Reiner, Benson Samuel, Eli Sklar, Jorge Timón, Sonny Vleisides, Jonathan Waller, Alex Waters, and J.R. Willett.